Do you need a different size, paper or quantity? Creasing is where the paper fibres are weakened along the fold line to avoid cracking when folding. This is particualrly important when there are printed areas running through the fold as it avoids the print cracking when folded. We use the highest quality matrix style creasing which gives a better finish than scoring. Order by 10am (Mon-Fri) for same day dispatch. When you are advertising a new business, promoting an event or canvassing for an election, time is of the essence. You want to reach your target audience quickly and efficiently by distributing high quality brochures door to door, or into their hands. Choose next day brochures for guaranteed next day delivery as long as you order before 10am on a weekday. Your brochures will be printed and dispatched that very day, arriving on your doorstep the next working day. If you miss the 10am deadline, just give us a call and we may still be able to offer the next day service. Delivery is free to one UK mainland address and the minimum order is just 25 brochures. 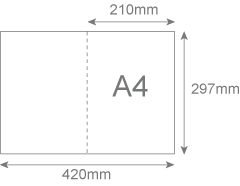 Our next day service applies to all printed brochures including the standard A4 size (which measures 210mm x 297mm) and the larger A3 size (which measures 297mm x 420mm). We offer a range of gloss and silk paper options, from the standard 170gsm to the luxury 300gsm card. If you cannot find what you are looking for in our standard stock, just get in touch and we can quote you a price for a different quantity, size or paper weight, or for matt or laminate brochure options. 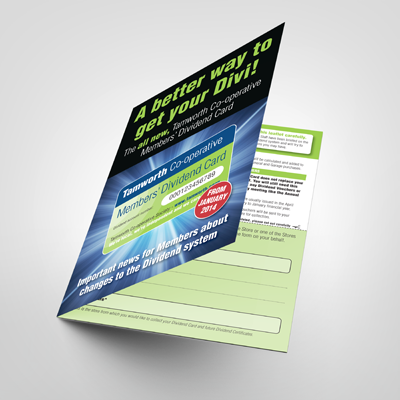 Bespoke brochure orders also qualify for the next day delivery service depending on your requirements. The entire ordering process can be completed quickly and easily online. Just choose your style, add your text and upload your artwork and your brand new brochures could be with you in the morning!